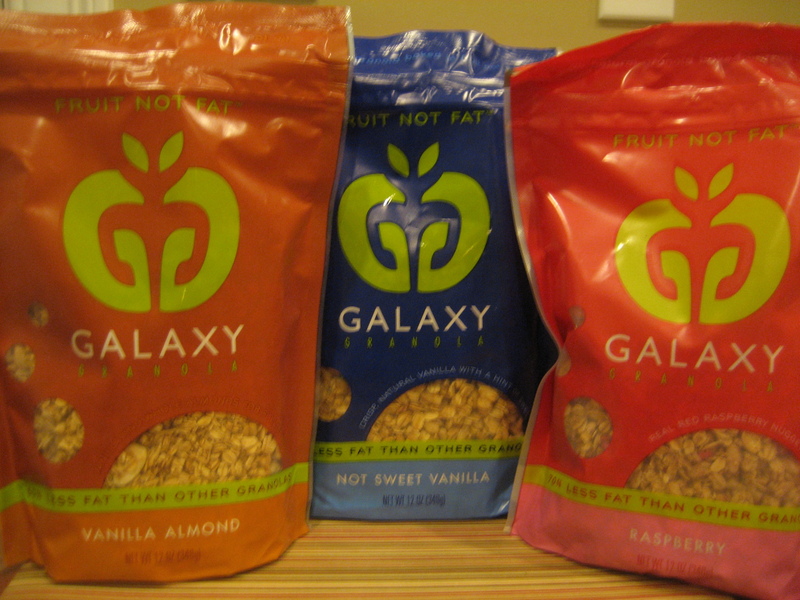 About a month ago, I found out that Galaxy Granola was starting a “Fruit not Fat” movement to jump start healthy eating. I love the movement that they are starting, because so many people these days need to and/or want to cut that un-needed fat out of their diets. But, they don’t want to give up their favorite foods. From their blog: Fruit Not Fat is about cutting out fat when you can by limiting the amount of it in any given recipe. We don’t want you to eliminate all the healthy fats in your diet; we just want to encourage you to choose the right fats and make informed and healthy eating choices each and every day. You can read their blog to find out new recipe ideas and other fun facts! Or, just click the blue and green apple symbol on the left of my page (under my picture) to get there. 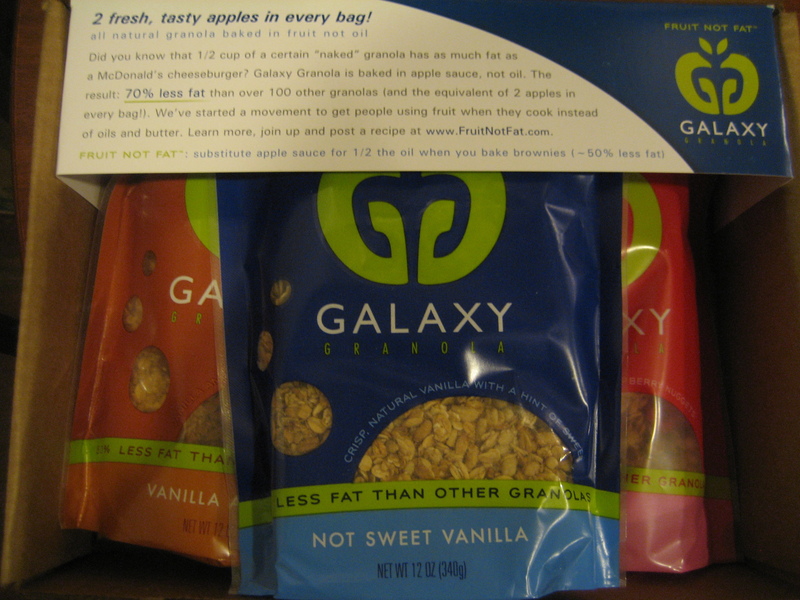 I received an awesome sample package to try out their granola. Well, I needed to tell you guys about their granola, because it is delicious!! They bake their granola in applesauce (how cool is that?!) instead of oils. Many people shy away from granola because of it’s calorie and fat content. It is usually baked in oils, and contains grains, nuts, and fruits. But, no oils in the granola means a lot less fat! 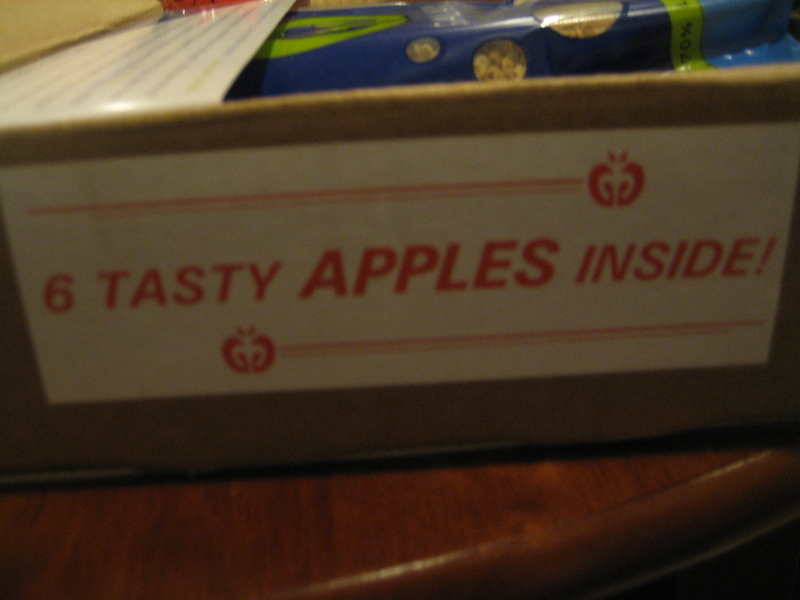 They have great, simple flavors which I love. It has just the right amount of sweetness, sweetened by either agave, cane juice or honey. They do use white rice, which I am not a huge fan of. I would prefer brown anyday, and it is healthier for us. However, if you are looking for a healthier granola alternative, I think this is it! So far, the Not Sweet Vanilla is my favorite! There are only 1.4 grams of fat per serving. Other granolas can have upwards of 15-20 grams of fat per serving. And check out the ingredients: whole rolled oats, apples, organic agave nectar, barley flakes, spelt flakes, crisp rice, oat flour, vanilla extract, oat bran, vitamin E.
The idea behind this granola is excellent! Even though I do try to limit my white flour/rice intake, I do feel okay eating this granola knowing the other things that they put into it.